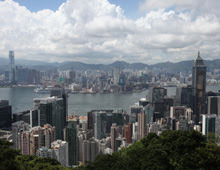 Growing Chinese mainland investment overseas is boosting Hong Kong’s services sector. Nordic SMEs make ideal partners with Hong Kong companies because of a shared entrepreneurial spirit, says HKTDC consultant Madelene Kornfehl. A strong following in Hong Kong for Scandinavian fashion is opening opportunities for pioneering fashion entrepreneurs in the city. Spark new business by attending Asia’s leading lighting event, happening in Hong Kong next month. Hong Kong is the ideal base for French creative agency Substance to tap growing demand in Asia for design and branding. @ 2014 Hong Kong Trade Development Council. All rights reserved. You are receiving Hong Kong Trader as your contact details are in the HKTDC database. If you wish to update your subscription profile or unsubscribe, please click the links in the box immediately above.